High summer in Acker's Gap, West Virginia—but no one's enjoying the rugged natural landscape. Not while a killer stalks the small town and its hard-luck inhabitants. County prosecutor Bell Elkins and Sheriff Nick Fogelsong are stymied by a murderer who seems to come and go like smoke on the mountain. At the same time, Bell must deal with the return from prison of her sister, Shirley—who, like Bell, carries the indelible scars of a savage past. 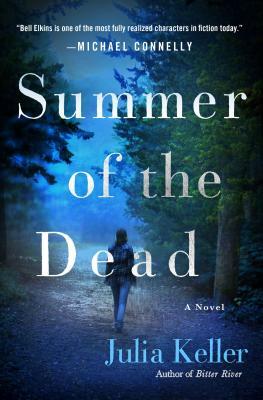 In Summer of the Dead, the third Julia Keller mystery chronicling the journey of Bell Elkins and her return to her Appalachian hometown, we also meet Lindy Crabtree—a coal miner's daughter with dark secrets of her own, secrets that threaten to explode into even more violence. Acker's Gap is a place of loveliness and brutality, of isolation and fierce attachments—a place where the dead rub shoulders with the living, and demand their due.